I live in Southern California. My Power Supply units operation high temperature is 60c or 140 degrees. I will have two power supplies in each cg-1500 on the outside of my house. Does anyone run theirs with no ventilation other than the holes at the bottom of the enclosure? There's no need to ventilate them (unless they are turned on). As 350W supplies are most common I will assume that is what you are talking about. If you run 2 350W supplies at 80% of full load you will have something like 80 to 90W of heat generated within the enclosure. This is enough heat in a fairly sealed enclosure to produce a significant increase in temperature. As heat rises the effect of having holes in the bottom will have virtually no impact on the temperature. As an absolute minimum you should have a vent towards the top of the enclosure as well as the hole/s in the bottom so that convection cooling can occur to some extent. I personally am a big exponent of fan forced ventilation especially here in Australia where we may be powering our shows up when there is an ambient temperature greater than 35C (95F). 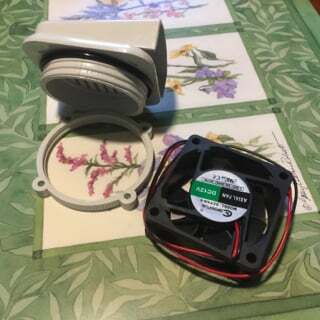 You can add me to the forced air ventilation fan club While the temperatures don't usually get quite as high here in northern California, it is certainly hot enough to justify ventilating my enclosures. As AAH mentioned, the holes at the bottom of the CG-1500s won't work properly (without adding ductwork or other modifications) for ventilation due to convection. The hot air will just get trapped in the upper part of the enclosure and the power supply fans will simply move it around. 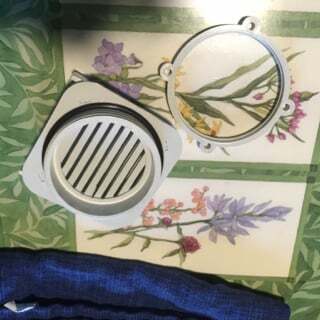 Adding holes at the top of the enclosure would allow the hot air to escape, but would also defeat the water resistant aspects of the enclosure unless properly protected. I had a go at adding forced air ventilation to my CG-1500s last year and posted a bunch of pics up on the build threads here and here in case you find the information useful. 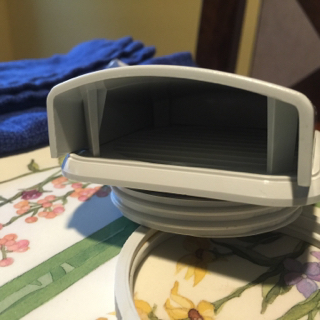 Another option that would likely be considerably easier to implement is using the NEMA air vents from BUD Industries. I will probably go this route for the next enclosure I build. Great ideas! I think I may go with the vent soffits at the tap and bottom of the cover box. I have nothing that needs to be seated on the inside of the front cover so maybe 2-4 3" vents. 2 at the bottom to let air in and two at the top to let the heat out. Ron weren't you in Vegas? I had my CG-1500 there where I had cut a 3" hole directly above the power supply fan and installed one of those aluminum inserts that have angled louvers. Should be able to buy them at most hardware stores. I just ran a thick bead of silicone around the flange of the insert before I pressed it into place. Yep, I was there. That's exactly what I may do but put one on the bottom as well. Cool air from the bottom and warm air out the top. Ron, myself being in So Cal, I was also concerned about heat and did vent mine with a 3 inch 48CFM fan. This last weekend I was testing my matrix on my driveway in our 95-100 degree weather with direct sunlight on the power boxes. Although I did not check the temperature specifically I noted that neither of the power boxes exhibited any real internal heat. You more than likely would not need the second fan. To give a reference of load each power supply was connected to 434 pixel, all testing was being done at 100% brightness including a lot of pure white (I was looking for flicker, dimming etc). I don't plan to use any fans in the boxes. Just vents. I don't see us in the 90's in October. History average for Fillmore, CA in October is mid 70's and mid to lower 60's in December. Worst case scenario I will hoist up large containers of dry ice for each enclosure. Okay, maybe that's taking it too far. These look like you can take the cg-1500 under water! I just want a little air. LOL Rain would have to blow sideways to hit two enclosures that will be mounted under my eaves on the second floor. Remember, I live in OK, rain blowing sideways isn't unusual. Plan to order these too. I tried just the white 3" vents and was not satisfied with my "rain" test. Had just a little trace of water. Glad I didn't use them cause we had a monsoon last Christmas. Do all those come from the Bud place linked to one of the earlier posts? I am in Louisiana and we never know if we will be in 30's or 80's..... I will be running two PSUs in some of my CG-1500's and I too am concerned about heat---though I did run this last year (2 PSUs/CG-1500) without problems. But I don't do very much "all white".... thx.